This guided spiritual journey provides a new perspective and paradigm shift for a deeper understanding of yourself and your life. This is a journey of self discovery where you’ll get to view past lives and receive valuable life changing information stored in your soul’s Akashic Records. You’ll ignite a deeper awareness within you that will eliminate any painful illusions that have been previously running the show. Would you like to have instant access to ANY information about ANYTHING in the Universe? I know it may sound crazy, yet the Akashic Records are a collective source of information that is stored in the “Mind of God” or scientifically speaking the Quantum Field of information that surrounds and penetrates us. The Akashic Records is something every human being can learn how to access given the right techniques and meditation knowledge. It’s like a new muscle we haven’t yet learned how to stretch or strengthen just yet. When you learn how to look into your Akashic Records with a vital question in mind, it can alleviate years of future suffering and potential struggle. It is a powerful tool to have and one worth sharing! Reading the Akashic Records helps you to relax into your life and have clarity on what life you want to create. It can help you assist others who are struggling in their lives, giving them direction, clarity and purpose. The understanding and learning from peering into your Akashic Records raises your awareness and knowledge that will bring you more peace, power and healing into your life. * A healing inner journey that will take you directly into the Akashic Hall of Records. * An Increase in Consciousness and Quietness of mind chatter. * An empowering space to ask and receiver answers on your personal relationships, finances and future! The Akashic Meditation Journey can be done in the privacy of your own home, where you will be gently guided into your innermost being where you’ll discover your own personal connection and entry point into the Akashic Hall of Records. You will receive personal instructions along the way, as well as the secrets to entering into this deep and empowering state of being. Perhaps the best aspect of knowing how to access the Akashic Records is that it ignites a deeper awareness within you that will eliminate the painful illusions that have been running your life. 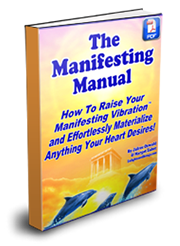 It provides a sense of freedom, a new perspective on reality, and a paradigm shift that will allow you to be more successful in your life and your world. Even visiting the Akashic Records one time can provide you with deeper insight into your true nature, and help you understand why you are here. It is a profound inner journey which we should all be trained to learn when we were children…enjoy! “Thank you so much. Your voice is very calming and effective. I really enjoyed my journey. Feels nice to be on the ‘other side’ of things. Was very revealing to me and I feel such peace.” Namaste! * 15 minutes of information on the secrets how to enter the Akashic Records. 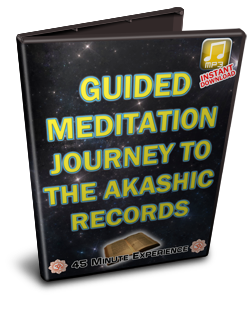 * 30 minute guided meditation journey to experience a healing, receive wisdom and dive into the Akashic Records! to Enter The Akashic Records Now!